This entry was posted in Armonk and tagged Armonk NY Real Estate, Armonk Real Estate, California sales on February 10, 2019 by Robert Paul. The count of unfilled jobs in the overall construction sector increased in September, as residential construction employment continued to grow. According to the BLS Job Openings and Labor Turnover Survey (JOLTS) and NAHB analysis, the number of open construction sector jobs (on a seasonally adjusted basis) grew to 221,000 in September, after establishing a cycle high of 225,000 in July. The July estimate represents the highest monthly count of open, unfilled jobs since February 2007. The open position rate (job openings as a percent of total employment) for September was 3.2%. On a smoothed twelve-month moving average basis, the open position rate for the construction sector increased to 2.6%, setting a cycle high and surpassing the top twelve-month moving average rate set prior to the recession. The construction sector hiring rate, as measured on a twelve-month moving average basis, fell back to 4.6% in September. Monthly employment data for October 2016 (the employment count data from the BLS establishment survey are published one month ahead of the JOLTS data) indicate that home builder and remodeler net hiring continued to grow, as sector employment increased by 4,500 after posting a 13,200 gain in September. These gains come after a recent period of hiring weakness, which has reduced the 6-month moving average of jobs gains for residential construction to just under 5,000. Residential construction employment now stands at 2.618 million, broken down as 737,000 builders and 1.881 million residential specialty trade contractors. Over the last 12 months home builders and remodelers have added 140,000 jobs on a net basis. Since the low point of industry employment following the Great Recession, residential construction has gained 632,000 positions. This entry was posted in Armonk and tagged Armonk Homes, Armonk NY Realtor, Armonk Real Estate on December 9, 2016 by Robert Paul. 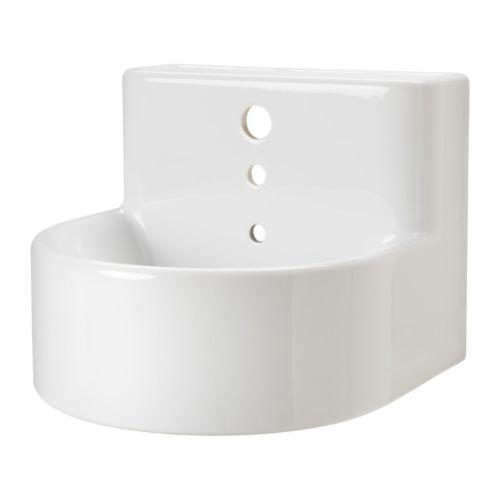 When washroom space is limited, small-profile sinks are essential: Here are ten tiny wall-mounted sinks for the guest bathroom. 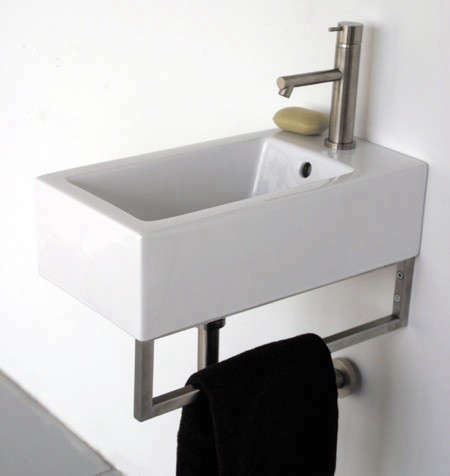 Above: Lacava’s 5074 Aquamedia Washbasin in white porcelain measures 10.25 by 19.75 by 7 inches; the wall-mounted version includes a towel bar; $390 at Faucet Farm. 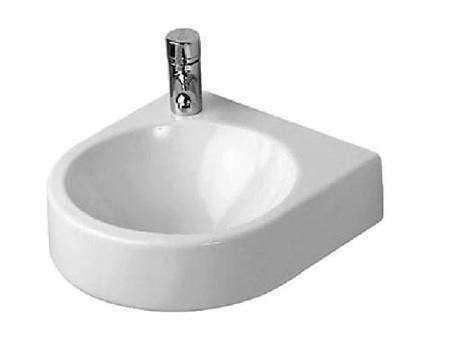 Above: Duravit’s Happy D. Hand Rinse Basin in white porcelain measures about 20 inches wide and 10 inches deep; $180 at Every Faucet. 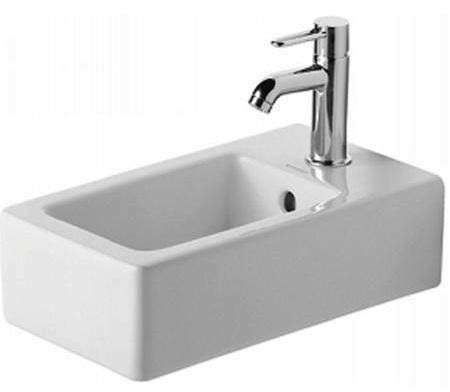 Above: The wall-mounted Round Ann Sink measures 15.75-inches wide and deep; $79.99 at Ikea. Above: Kohler’s Taunton Cast-Iron White Wall-Mount Lavatory measures 14 by 16 inches; $337.99 at Plumbers Surplus. 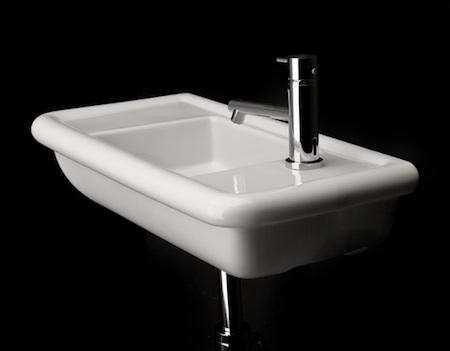 Above: The Scarabeo Thin-Line Ceramic Washbasin measures 11.7 inches square; $350 at eFaucets. 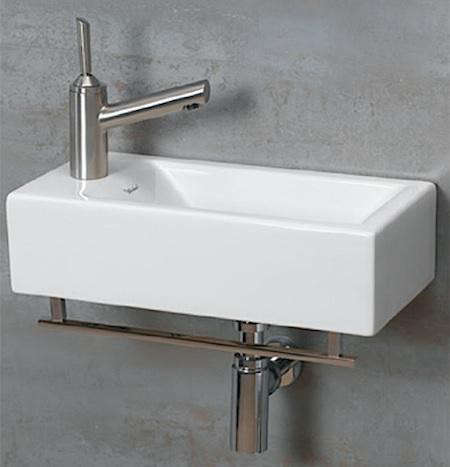 Above: The Whitehaus Wall-Mounted Basin measures approximately 20 by 10 by 5 inches and is available with a chrome towel bar; $258.75 at eFaucets. 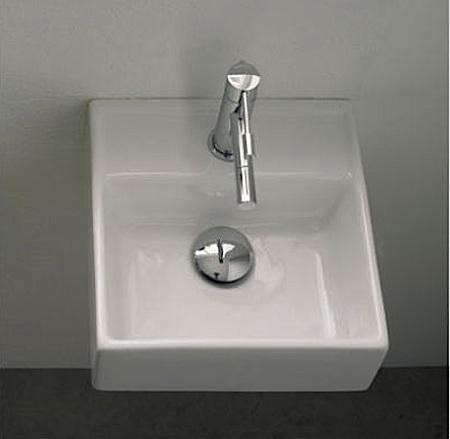 Above: Lacava’s Alia Wall Mounted Porcelain Lavatory SInk is 22 inches wide and 11 inches deep; $375 at Lacava. 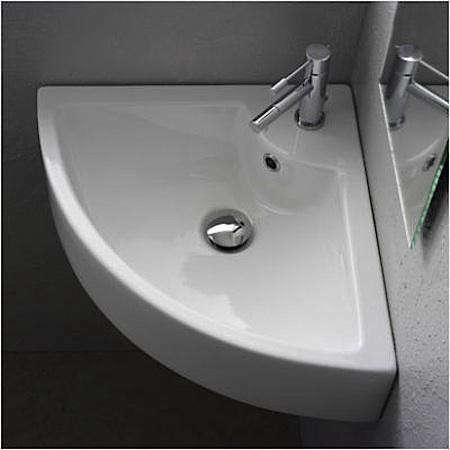 Above: A space-saving corner sink, the white porcelain Scarabeo Square Wall-Mounted Corner Sinkby Nameeks measures 18.5 inches wide and deep; $486.50 at Every Faucet. 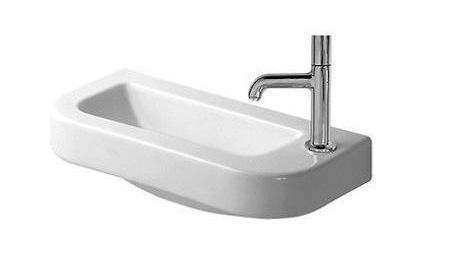 Above: The Duravit Architec Series Hand-Rinse Basin measures a tiny 14 inches; $241.50 through Amazon. 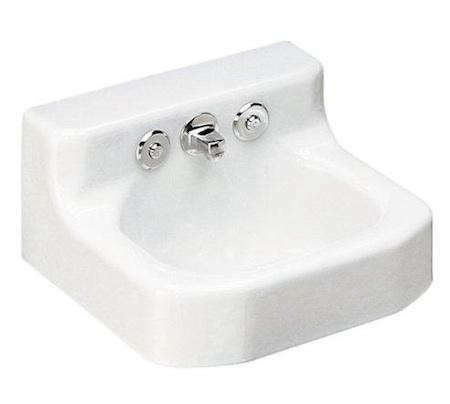 Above: Duravit’s Vero Basins are a modern European classic and are available in several sizes and configurations, including the approximately 10-by-18 inch Vero Handrinse Basin; $296.25 at eFaucets. This entry was posted in Armonk and tagged Armonk Luxury Homes, Armonk Luxury Real Estate, Armonk Real Estate on October 28, 2016 by Robert Paul. U.S. new-home sales surged to the highest in nearly eight years in July as builders picked up the pace while buyer demand remained robust. Sales of newly constructed homes rose 12.4% to a seasonally adjusted annual rate of 654,000, the Commerce Department said Tuesday. That was 31.3% higher than a year ago, and easily beat forecasts of a 581,000 pace from economists surveyed by MarketWatch. June’s figure was revised downward slightly, to 582,000. The median sales price in July was $294,600, 0.5% lower than year-ago levels. As sales soared, supply dwindled to 4.3 months’ worth of homes at the current pace. On Tuesday, luxury home builder Toll Brothers TOL, +3.27% reported double-digit profit and revenue growth for its second quarter. “The solid economy and employment picture are also benefiting our target customers,” executive chairman Robert Toll told analysts. Analysts and economists have waited to see stronger activity from home builders as the economic recovery drags on and the job market strengthens. Builders have been wary of ramping up construction to pre-crisis levels, but with demand running so much hotter than inventory, and new construction favoring higher-end customers, the housing market has struggled to find equilibrium. This entry was posted in Armonk, blog and tagged Armonk NY Homes, Armonk NY Real Estate, Armonk Real Estate on September 5, 2016 by Robert Paul. The Richmond Times Dispatch’s Carol Hazard writes on the growing trend among baby boomers: aging in place. According to the National Association of Home Builders, home modifications are the fastest-growing segment in residential remodeling. To look at how one woman is changing her home, Hazard interviewed Donna Edgerton, who had an elevator shaft installed, which she will eventually turn it into an actual elevator. Furthermore, she added an open-plan kitchen and family room. She also widened the doors throughout the home to at least 3 feet to accommodate a wheelchair and a walker, along with choosing drawers over cabinets in her kitchen to better mange things around her home. Edgerton’s home renovation now includes doors and faucet features with lever handles rather than knobs, along with a bathroom that has a built-in bench, sinks that allow for a wheelchair, and tilted mirrors. Aging in place has allowed baby boomers to not move, continue to enjoy their neighborhoods and communities, and enjoy the new amenities of their homes. In the Richmond area, the number of people ages 65 and older will outnumber the school-age population for the first time in history over the next 15 years, according to a 2015 report by the Greater Richmond Age Wave, a collaboration of public and private organizations working to prepare for the region’s growing aging population. By 2040, the number of people 85 and older (40,541) in the area will have more than quadrupled since 2000, according to the report. 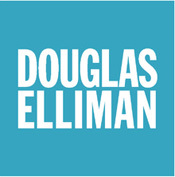 “One of the biggest challenges over the next decade is how we will accommodate the growing senior population and make sure the houses they live in and the housing choices they make will be suitable for their changing needs,” said Bob Adams, executive director of Virginia Accessible Housing Solutions, whose EasyLiving Home program is designed to encourage builders to include accessibility features in home design and construction. The problem is particularly acute in rural areas, as young people leave for urban areas and the number of senior households increases, Adams said. This entry was posted in Armonk and tagged Armonk Luxury Homes for Sale, Armonk Real Estate, Armonk Real Estate for Sale on August 15, 2016 by Robert Paul. This entry was posted in Armonk and tagged Armonk Luxury Homes, Armonk Real Estate, Armonk Real Estate for Sale on July 24, 2016 by Robert Paul. This site compares average cost for 30 popular remodeling projects with the value those projects retain at resale in 100 U.S. markets. Check out this year’s trends and how they compare to prior years. This entry was posted in Armonk and tagged #ArmonkNY, Armonk Real Estate, Armonk Real Estate for Sale on July 2, 2016 by Robert Paul. Local market conditions raging from supply and demand to local population growth have a substantial impact on how federal monetary policy affects home prices, according to new study to be published in the Journal of Housing Economics next month. Motivated by the fact that the period of house price inflation prior to the economic downturn in 2008-9 was characterized by significant differences in inflation rates across markets, economists at the Swiss Institute of Banking and Finance and Middle Tennessee State University found that the vast differences in home price inflation rates experienced at the local level, especially before 2006, can be tied to differences in local demand and supply conditions that systematically and predictably cause monetary policy to different local consequences. Local population growth is a key demand side factor and the percentage of undevelopable land a primary supply side factor that determine how national monetary policy impacts house price inflation rates at the MSA level. the study found. MSAs with a high share of undevelopable land or strong population growth are far more prone to experience house price inflation from a reduction in the federal funds rate than MSAs without those characteristics. A higher quality of life, by contrast, appears to moderate the impact of a change in the federal funds rate on house price inflation. For the larger set of MSAs contained in the FHFA data set, there is evidence that large values for land use restrictions and high income growth during the period before the house price crash in 2007-8 are also important to explain a strong response of MSAs to changes in monetary policy. This entry was posted in Armonk, Westchester NY and tagged Armonk NY Luxury Homes, Armonk Real Estate, Armonk Real Estate for Sale on March 5, 2016 by Robert Paul.